Mike comes to Topgolf after 4 years as 1st Assistant Golf Professional at Edgewood Country Club. Mike is a 2012 graduate of Methodist University. 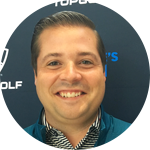 He has been a PGA Class-A member since 2013 and brings years of teaching and club fitting experience to Topgolf conducting thousands of lessons and fittings. Mike is an active tournament player in the Tri-State Section and has been competing as a professional since 2013 winning multiple events in the last couple seasons. Mike qualified for - and competed in - the National Assistants Championship in 2016 and 2017. Mike focuses heavily on fundamentals and communication. Identifying the problem and incorporating solutions is imperative to the learning process. Mike has developed golfers ranging from a beginner level to professional players. Mike is extremely passionate about helping others achieve their goals both on and off the golf course. His approach is for all students to have fun learning and be driven by that enjoyment to play more. Mike creates an individual game plan for each student and works great with all ages and skill levels. 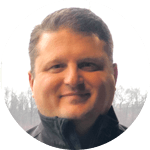 Dave joins Topgolf Pittsburgh with nearly 20 years experience as a Golf Professional and was elected to PGA Class A status in January 2009. His passion for teaching and continually learning new ways of helping people with their games can be easily seen at every lesson. He has worked with all ages and ability levels. His experience not only includes many individual and group lessons, but also a former captain for PGA Junior League and current Head Varsity Girls Golf Coach for Shaler High School. Dave’s philosophy about teaching the game is to simply always remember to have "fun" when learning the fundamentals and, regardless of ability level, everyone plays the game of a lifetime for a multitude of reasons. He believes everyone has their own method of learning whether it is by visual, feel, or verbal. Dave is excited to join the Topgolf family and is eager to help you reach your golf potential.